Hurry and stress fill the fabric of most American lives. We work at a killer pace and then arrive home to get on a different treadmill, racing, racing, racing from event to necessity, chained by invisible leashes to our cellphones, at everyone’s constant beck and call. The tyranny of urgency drives us past our breaking point and we don’t know how to make it stop. This is my plea to urge you consider finding and taking a Sabbath. I have long practiced and often taught ‘centering meditation’ and relaxation. Our bodies and our minds need stillness, our hearts and our spirits wither without rest and peace. The irony is that we live in a world filled with resources to draw upon. 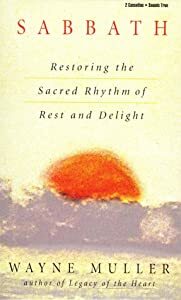 Whether sabbath, rest, happens for a day, an hour, or ten deliberate minutes, or if it is in a communal setting sharing worship and prayer, or alone taking the time for a walk, a restful bath, or merely sitting and letting ourselves breath in peace and breath out tension, we can find moments of sabbath to sustain us. Far too often we do not give ourselves permission. Sunday merely becomes a day to get ready for Monday where the merry-go-round begins again, having never actually stopped. So just for today I am making this brief post to urge you (and me) to stop. Get off the carousel, if only briefly. For just a few moments immerse yourself in timelessness. Watch the sun rise…or set. Walk in the woods or near the shore. Watch the birds or throw a ball for your dog. Lie on your bed and read a story to your child. Find a funny movie and… LAUGH, and laugh again, big belly laughs. Relax your straining tense muscles, go limp limb to limb, to set aside your burdens until you are renewed. Count your breaths making each one deeper, until you find a focus on your center, on the rhythm of your chest as the tides of your life make it raise and fall. Your burdens will still remain, and you can shoulder them again, but rested and better able to carry them once more. So on this lovely Sunday, I wish you shalom, peace, rest and Sabbath renewal. 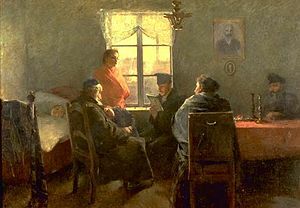 This entry was posted in Writings by Wordsmiths and Others and tagged Albert Schweitzer, Finding peace, God, nourishing your soul, renewal, Rest, restoring self, Sabbath, Sabbath rest, Shabbat, Sunday, Wayne Muller. Bookmark the permalink.